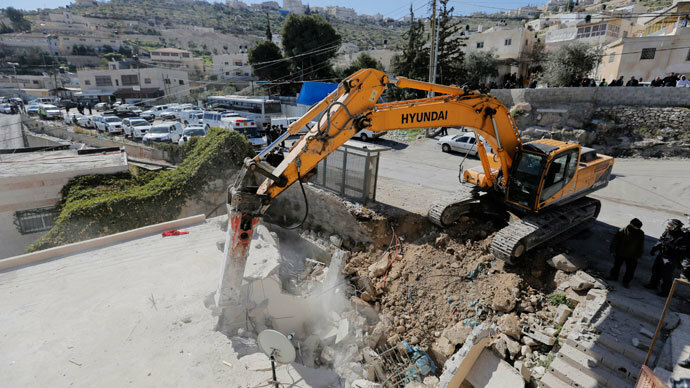 International agencies in the occupied West Bank and East Jerusalem say the Israeli demolitions of Palestinian property have increased significantly even amid revived, US-backed peace talks. In a statement Friday, 25 aid organizations said the number of demolitions went up by almost half and the displacement of Palestinians by almost three-quarters between July 2013 – when peace negotiations began again – and the end of the year, compared to the same time period in 2012. The groups said that of the 663 Palestinian structures destroyed by Israel in 2013, 122 were constructed with international donor aid. The 663 demolitions mark the highest number in the last five years. "International and local aid organizations have faced increasingly severe restrictions in responding to the needs created by the unlawful demolition of civilian property, in violation of Israel's obligation to facilitate the effective delivery of aid," wrote the groups, which included Oxfam. This week, the International Red Cross said it would stop giving tents to Palestinians who lost their homes from demolitions in the occupied West Bank near Jordan. They cited Israel’s consistent obstruction and commandeering of aid for the decision. Israeli political and military officials did not respond to Reuters’ requests for comment. Last week, Israel destroyed 36 Palestinian homes in the Jordan Valley, the proposed eastern border of a future Palestinian state. The action displaced 66 people, 36 of them children, according to the UN data. The UN condemned the action, calling for the destruction to stop. "I am deeply concerned about the ongoing displacement and dispossession of Palestinians... along the Jordan Valley where the number of structures demolished more than doubled in the last year," UN coordinator James Rawley said in a statement. It comes as hundreds of activists took to the streets days before in the Jordan Valley region. Last Friday, hundreds of Palestinians, along with foreign activists, set up a camp in abandoned houses on the West Bank and protested against the Israel’s refusal to pull out of the Jordan Valley should a peace deal be in place. The demonstrators held a banner reading "No peace with settlements." 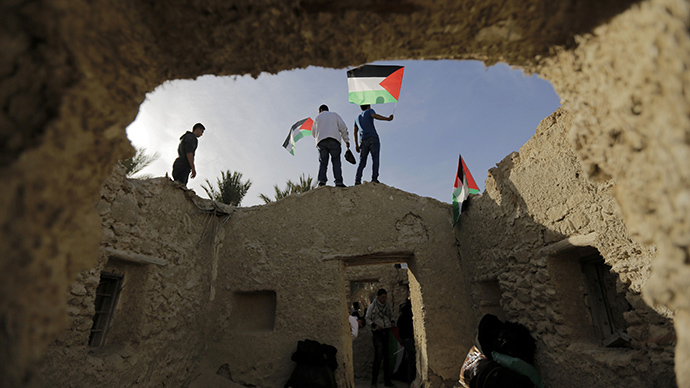 The action was called "Melh al-Ard" (Salt of the Earth), activists said in their statement. The Israeli military called the protesters “provocateurs,” saying their evacuation came about after demonstrators threw stones on a nearby highway “and other legal considerations,” Reuters reported. The Palestinian population in the Jordan Valley has declined as water supply from the Jordan River has been diverted and Israel maintains military zones and settlements. 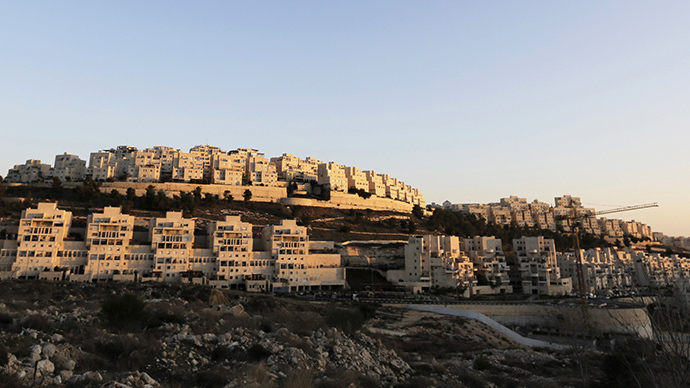 Israeli settlements in the West Bank have long been the stumbling block in the peace negotiations, as Tel Aviv has refused to freeze the construction of new settlements – a stance that has tended to stall the peace initiative. Meanwhile, the latest opinion poll released by Zogby Research Services found that both Israelis and Palestinians don’t believe a peace deal will happen. Nearly two decades after Palestinian leader Yasser Arafat and Israeli Prime Minister Yitzhak Rabin shook hands on the 1995 Oslo Accord peace deal brokered by then-US President Bill Clinton, "it is clear several deep differences exist," the pollster said. At the time of the Oslo peace process, according to polls, 61 percent of Palestinians and 54 percent of Israelis said they were “hopeful." 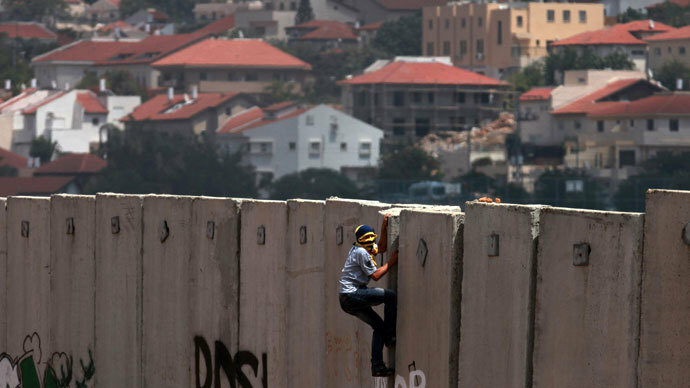 "Twenty years later, only 18 percent of Palestinians and 19 percent of Israelis view Oslo as a positive development in the history of their relationship," the pollster said. 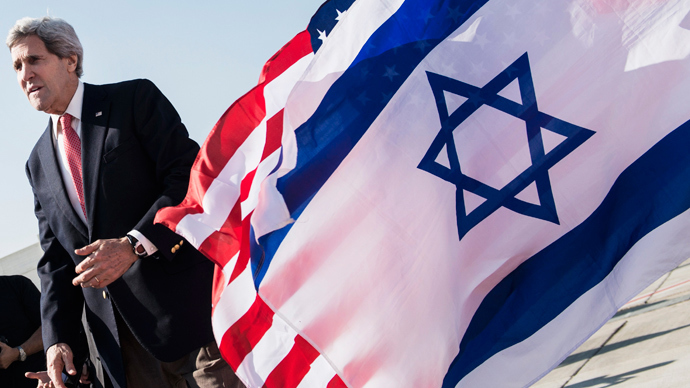 According to the US State Department’s lead envoy to the Israeli-Palestinian negotiations, Martin Indyk, the new framework for the establishment of a lasting peace will address controversial issues, such as the settlements and Palestinian statehood. Under the framework – set to be made public later in February - up to 80 percent would stay in what would become Israeli sovereign territory. On top of that, Indyk said, the Palestinian Authority would allow settlers who want to remain as citizens of a future Palestinian state to stay in the territory. Once the document is drawn up, both sides will be expected to sign the agreement to facilitate further peace negotiations.